Pavtube BDMagic for Mac is a user-friendly and handy tool for Mac OS Sierra users to backup Blu-ray/DVD, convert Blu-ray ISO, and edit DVD IFO with simple operations. With Pavtube Mac BDMagic, you could easily copy BD/DVD by freeing from disks to computer hard drive and get prepared for movie storage and BD/DVD creation. After converting Blu-ray/DVD to MP4, M4V, MKV, MOV, and more, this BDMagic for Mac users allows you to watch the movies on computer, iOS/Android/Windows portable devices, HD media players, Game Consoles; and also edit in Final Cut Pro, iMovie, Final Cut Express, Avid. Finally, you could freely play and use Blu-ray/DVD movies anywhere and anytime you like. There, you can learn Why choose Pavtube BDMagic for Mac? 1. Easy-to-use: Pavtube BDMagic for Mac ’s interface is pretty intuitive. You will easily find the “File” to import Blu-ray source movies and set the target format in the bar. On the bottom right, clicking the big red “Convert” to finish the conversion. Only three steps, you can get your desired created movies. 2. Almost All Video Formats Available: This Blu-ray to video workaround could output wide range of video and audio formats, like H.265/HEVC, M3U8, MKV, MP4, MOV, DivX, AVI, MP3, FLAC, etc so you can make a duplicate copy for your video collection, or share movies on numbers of popular media players，like Apple media devices, Android smartphones and tablets, Windows media players, various storage devices and more. 3. 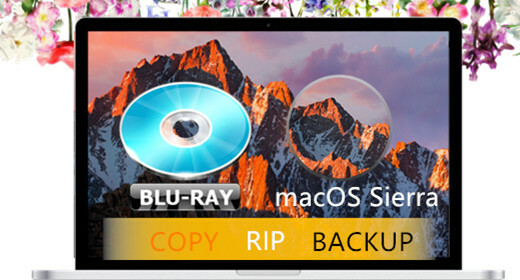 Two Copy Ways: This Blu-ray Ripper for Mac can 1:1 backup Blu-ray without quality loss. With the “Full Disc Copy” in the top menu bar, you can preserve the Blu-ray’s original file structure, backup Blu-ray disc to PC with one click. Using “Directly Copy” feature, you can backup Blu-ray main movie content in original M2TS/VOB format with original video quality. 4. 2D/3D to 3D Conversion: Pavtube BDMagic for Mac can easily convert 2D Blu-ray from discs or folders to 3D videos in MKV/MP4/MOV/WMV/AVI formats with Side-by-Side, Top-Bottom, or Anaglyph 3D effect. You are allowed to set the 3D depth to adjust the 3D effect. Also, it can rip latest 3D Blu-ray to 3D videos with ultra fast speed for true theater entertainment at home. 6. Acceleration Conversion: With the technology of NVIDIA CUDA and AMD, you can get 6 times video decoding speed when converting video files to format by H.264/H.265 codec. 7. Worthwhile low price: Pavtube BDMagic for Mac is more than a Blu-ray Ripper, it also is a Blu-ray Copier + DVD Ripper + Video Converter + Video Editing Tool. On the market, a general Blu-ray Ripper or DVD Ripper costs $30 – $40, however, Pavtube BDMagic for Mac, gathering all the functions into one, costs $34.3. 8. Help & Support: BDMagic for Mac supports Mac OS Sierra, Mac OS X 10.11 El Capitan, Mac OS X 10.10 Yosemite, 10.9 Mavericks, 10.8 Mountain Lion, 10.7 Lion, 10.6 Snow Leopard, 10.5 Leopard and provides lifetime free updating with the development technology of Blu-ray disc protection. if having any question and confusion, the customers can contact support staff via email for help and suggestion. If you want to know more about Pavtube BDMagic for Mac, please visit: http://club.myce.com/f201/, https://www.facebook.com/pavtubefans,https://plus.google.com/+Multipelife, or email at: Mac User – dvdmacsupport@pavtube.com, Windows User – dvdwinsupport@pavtube.com.